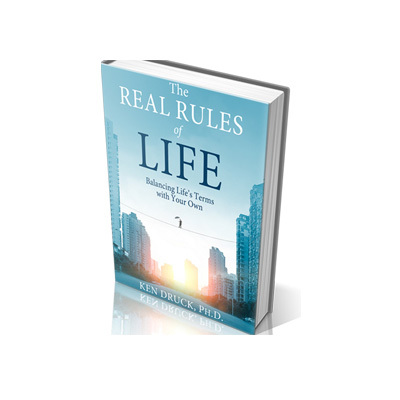 This wonderful new book by author and good friend Ken Druck, is filled will the “Real Rules of Life“. Most of us have read books about the rules of life, but Ken rules takes the reader to new depths of understanding about how life “really” works. In my interview with Ken we discuss the 23 rules that he outlines in the book, but we also discuss their meaning and the story behind the rules. Ken asks questions at the end of each chapter as well as provides the reader with simple actions that they can implement into their lives. For instance he mention to sharpen our self awareness about rule number one (1), ask the questions ” Do I expect life to be fair?” Am I holding a grudge against life–for hurting me or letting me down?.” What great questions for reflection–this will surly create more awareness about how we are thinking about how fair life is treating us. Ken’s new book “The Real Rules of Life” has 23 “Real Rules”. They are all designed to open up your heart and get you engaged in life. He provides the reader with great stories as well as examples of how if applied these rules can change your life. I recommend this book for anyone wanting to create real love, hope, joy , health, and forward movement in your life. If you would like to learn more about the “Real Rules of Life” you can visit the book website by clicking here. Or you can learn more about the Jenna Druck Foundation by clicking here. 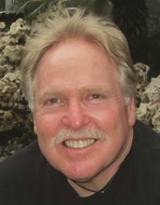 I hope you enjoy this wonderful interview with one of the most heartfelt men I know–Ken Druck.